Wait, What? Jimmy Butler is Playing for the Wolves in the Season Opener. Yeah, we’re just as surprised as you — Jimmy Butler, after all his off season tribulations, will be lacing up his Air Jordans for the T-Wolves come opening night. ​Jimmy’s recent headlines prompted Taylor to hit the road early on Sunday morning for a 90-minute drive to Timberwolves practice. In the meeting, Taylor and Butler came to an agreement: The T-Wolves owner will continue to work to find a trade as soon as possible. Until that happens, Butler will be a good teammate and compete. 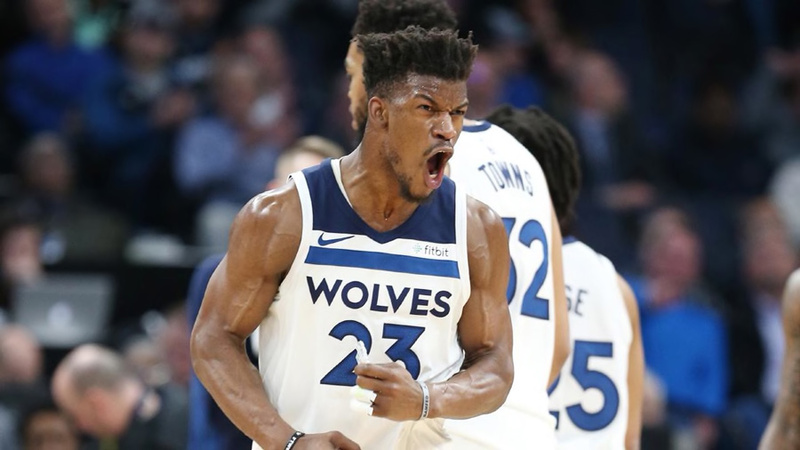 ​With each trade rumor consistently dismissed, likely over his injury history, perhaps Jimmy Buckets balling out will be the only way the Wolves can get something of value in return for the superstar. Because as of right now, the market is stagnant.